Wow, what a week! 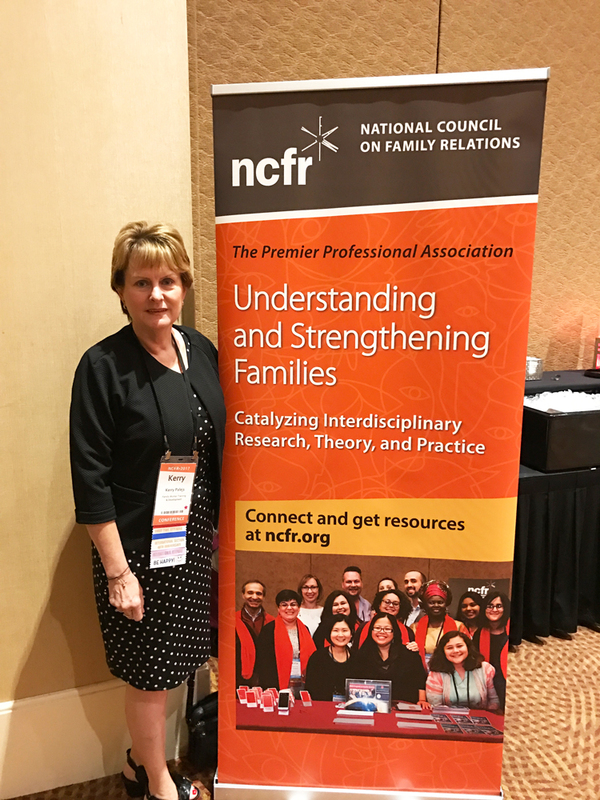 I have just returned from Orlando, Florida, where I participated in the National Council on Family Relations (NCFR) Annual Conference. I joined over 1,300 participants for five days of powerful, evidence-based research workshops and seminars that focused on the theme of “Families as Catalysts: Shaping Neurons, Neighborhoods and Nations”. The hardest part was selecting which of the more than 50-per-day sessions to attend. Some of the sessions that I found particularly interesting were Strengths-based LEADership, Innovative Research & Intervention, Advancing Family Science, Changes in the Family System: Parent Absence and Blended Families, Home Visits and Home Visitors: An Effective Tool fro Family Support, Cutting Edge Topics in Family Therapy, Social Media is Changing Family Interactions and Toxic Stress in Contemporary Families: Getting from Adversity to Capacity. The NCFR is the largest peak body for Family Science in the US. They produce three academic journals which feature the latest research and findings across a wide range of topics. I was in awe of the enthusiasm, qualification levels, expertise and commitment of the facilitators. Whilst the term “Family Science” is not widely used here, its tenets align with our Family Studies units. I am inspired and excited about bringing some of the ideas and new knowledge that I acquired during this international event to inform LEAD Professional Development workshops, conferences and seminars. Stay tuned for more!